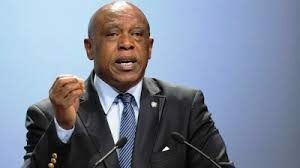 Tokyo Sexwale is a South African businessman, politician, anti-apartheid activist, and former political prisoner who goes by the birth name Mosima Gabriel Sexwale. He was born on 5th March 1953 in Soweto, South Africa. studied a Bachelors Degree in Business Commerce at the University of South Africa while imprisoned at Robben Island. Sexwale became the Premier of Gauteng Province after the 1994 general elections held in South Africa. He was born on the 5th of March 1953 in Transvaal, South Africa. He is 66 years old as of 2019. Tokyo Sexwale got married to a first wife whose known is unknown and later got married to a second wife who is Judy van Vuuren. Their personal relationship began while he remained in prison, and soon after his release, in 1990, they married. In 2013 they filed for divorce. Sexwale has two children by a first wife, and two children by his second wife, Judy van Vuuren making a total of four children. Two of his children are known as Chris Sexwale and Gabrielle Sexwale. The Reach and Teach Leadership Award, from the United States. Honorary doctorate in technology from Nottingham Trent University. Honorary Doctorate in Business Administration from De Montfort University.